As the walls go up to build fortress Brexit and we are told to duck and cover while the assembled intellectual might of the leave campaign protects us from foreigners, let us take a moment to think this through. Is it really to our advantage to cut ourselves off from tourists, customers, trade and exchange? 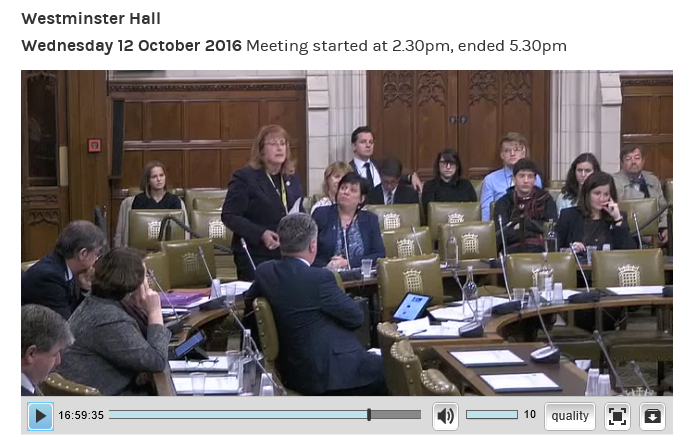 Speech during the debate 'Leaving the EU: UK Tourism', Wednesday October 12 2016. "I am surprised that no thinking or planning appears to have been done in Whitehall about the effects of leaving the European Union on tourism. Mind you, there does not seem to have been any Whitehall planning for the effects of Brexit on anything. Apart from the possibility of visas being introduced to stop those pesky Europeans sneaking in here without telling us, having holidays and spending money, we are only now starting to see the outcomes of the leave vote. I assume that we all got a briefing from the Performers' Alliance—I declare an interest as a member of the Performers' Alliance all-party parliamentary group—that laid out its fears about performers not being able to move freely and tour after Brexit. The same thing will happen in reverse; a closed border will mean that cultural tourism will be damaged and fewer performers, artists and musicians will come here. The restrictions being imposed by UK Visas and Immigration on performers from around the world are already having an adverse impact on my constituency. Edinburgh, of course, plays host to the largest arts festival in the world every year, and performers are now regularly being refused visas for the festival. If that gets worse because EU visitors are forced down the same route, our international reputation for high-quality artistic endeavour will be affected. In 2010, the European Tour Operators Association did some research about the effects of the UK not being in the Schengen visa scheme and concluded that UK tour operators were losing substantial business and turnover. Tourists from furth of Europe were happy to pay for one visa for the 26 Schengen countries but reluctant to pay out more cash for a visa for the UK than they had for those 26 countries. I thought at the time that the same must apply to business travellers. If they are looking for investment opportunities and can travel to the biggest chunk of Europe on one visa, some must wonder why they should pay extra for the UK. The lesson of Schengen is, of course, that free movement of people is advantageous to the economy, and especially to industries such as tourism and culture, which require people physically to move from one place to another. If we cut ourselves off from the 500 million people in the EU, how much damage will have been caused to those industries by Brexiteers? As the walls go up to build fortress Brexit and we are told to duck and cover while the assembled intellectual might of the leave campaign protects us from foreigners, let us take a moment to think this through. Is it really to our advantage to cut ourselves off from tourists, customers, trade and exchange? Hotels need their doors open to welcome customers, and we need our borders open to welcome tourists. Brexit is doing us a lot of damage already, and the Government have to start looking at ways to mitigate that."